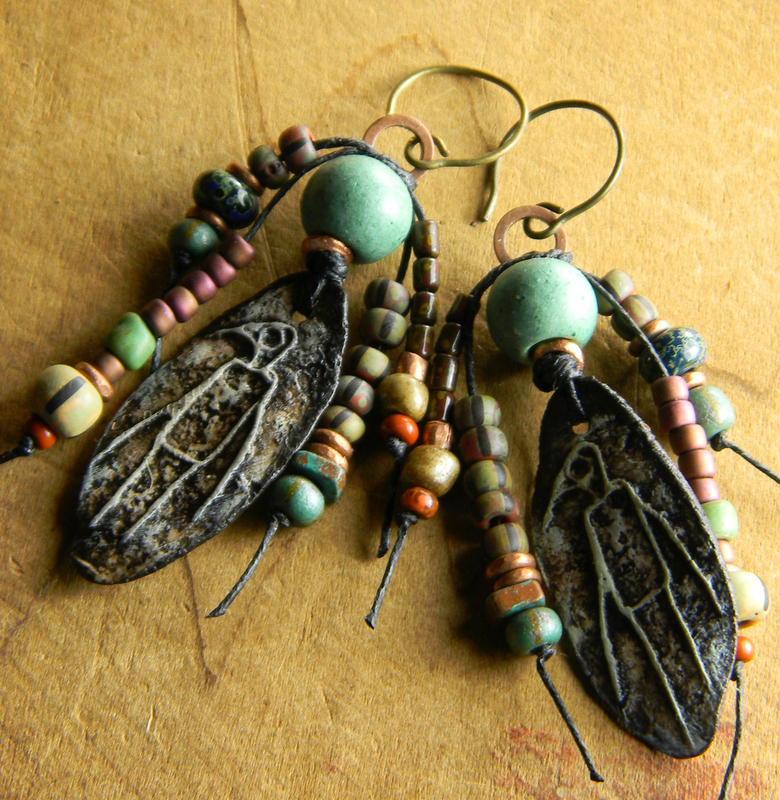 Petroglyph style "Bird Man" tribal earrings, made with artisan ceramic drops. Ancient looking cave drawings, from a Minnesota artist, have their own unique primitive character, that I love so much. 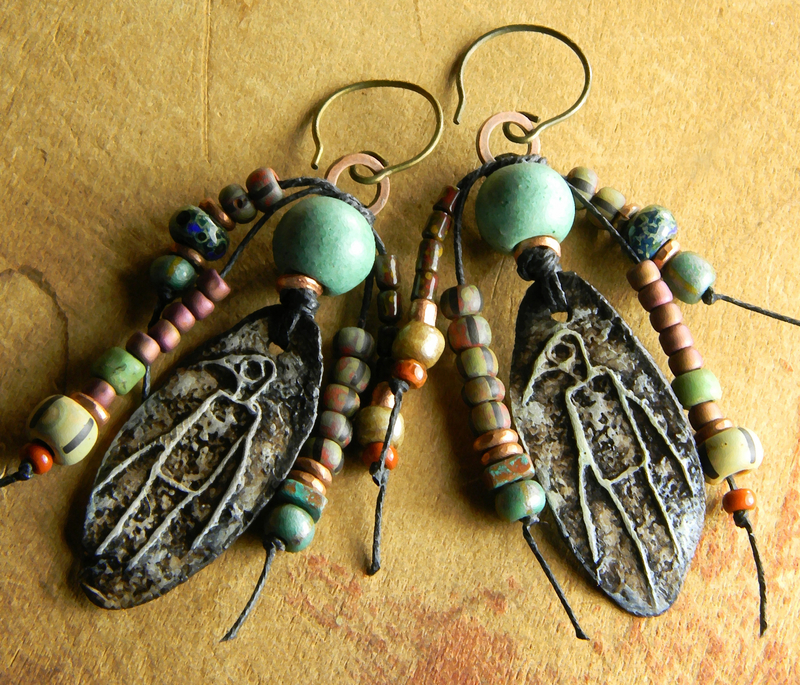 I have adorned them with Mykonos turquoise ceramic rounds, and little dangling streams of rustic seed beads in coordinating colors. 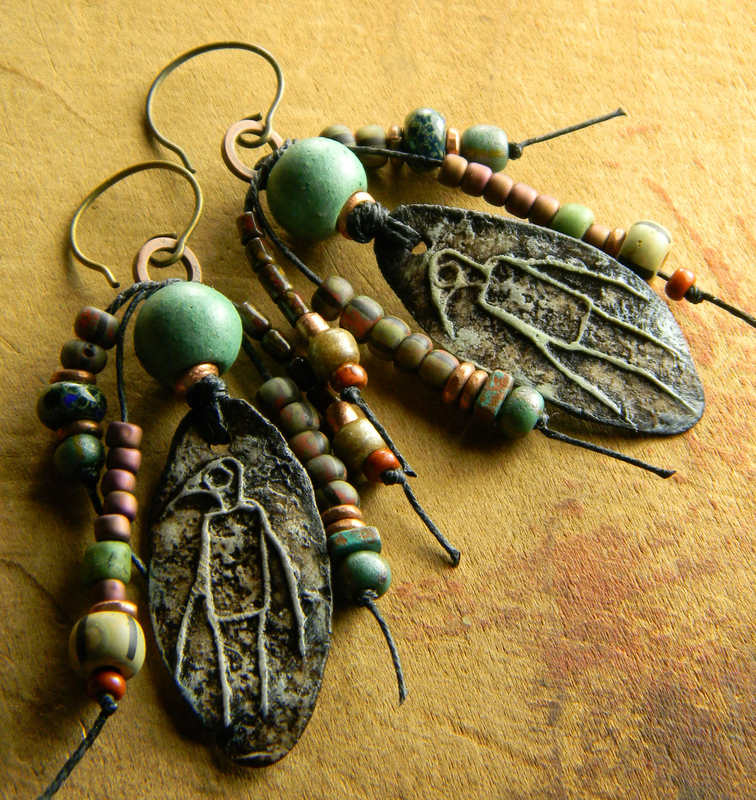 The complementing beads are on durable waxed Irish linen cord, and attached to antiqued copper rings and then to rounded ear wires.These earrings are very light weight to wear; the ceramic is very thin and somewhat fragile so exercise some care in handling. 2.25 inches long.